Ah, video game names. Never change. 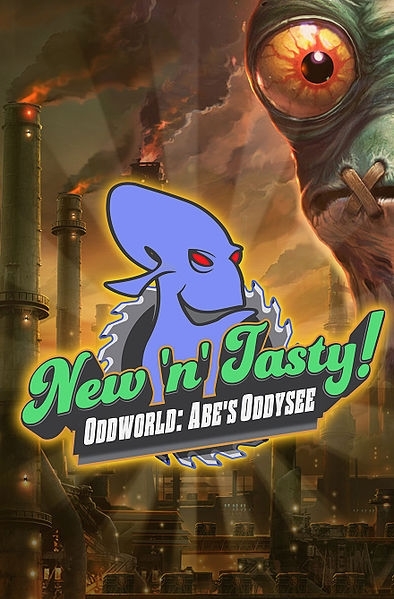 Oddworld Inhabitants Inc has today released a new trailer for their upcoming platformer Oddworld: New ‘n’ Tasty, showing off a few minutes of 1080p HD gameplay footage. The video focuses on the game’s “dynamic lighting, organic animation and special effects”, and has been made by the developers, according to themselves, to “showcase the vast improvements made over the original Abe’s Oddysee, on which New ‘n’ Tasty is based.” Watch the trailer above. Oddworld: New ‘n’ Tasty comes out soon for the PS3, PS4 and PS Vita, with a PC, Mac, Linux and Wii U release to follow soon enough. We have no specific date for that, so stay tuned and watch this space for more info. We’ll keep you updated.